Red rice is a fermented product of Monascus spp. It is widely consumed by Malaysian Chinese who believe in its pharmacological properties. The traditional method of red rice preparation disregards safety regulation and renders red rice susceptible to fungal infestation and mycotoxin contamination. A preliminary study was undertaken aiming to determine the occurrence of mycotoxigenic fungi and mycotoxins contamination on red rice at consumer level in Selangor, Malaysia. Fifty red rice samples were obtained and subjected to fungal isolation, enumeration, and identification. 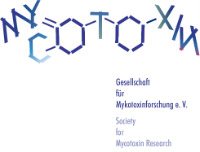 Citrinin, aflatoxin, and ochratoxin-A were quantitated by ELISA based on the presence of predominant causal fungi. Fungal loads of 1.4 × 104 to 2.1 × 106 CFU/g exceeded Malaysian limits. Monascus spp. as starter fungi were present in 50 samples (100 %), followed by Penicillium chrysogenum (62 %), Aspergillus niger (54 %), and Aspergillus flavus (44 %). Citrinin was present in 100 % samples (0.23–20.65 mg/kg), aflatoxin in 92 % samples (0.61–77.33 μg/kg) and Ochratoxin-A in 100 % samples (0.23–2.48 μg/kg); 100 % citrinin and 76.09 % aflatoxin exceeded Malaysian limits. 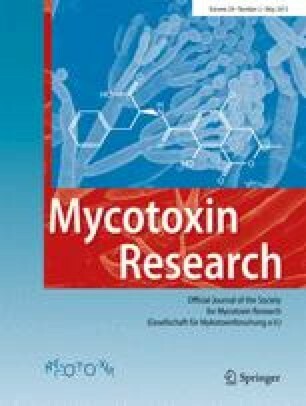 The presence of mycotoxigenic fungi served as an indicator of mycotoxins contamination and might imply improper production, handling, transportation, and storage of red rice. Further confirmatory analysis (e.g., HPLC) is required to verify the mycotoxins level in red rice samples and to validate the safety status of red rice.